Tripadvisor asleep at the wheel again. This business has been closed since April 2018, yet Tripadvisor retains its listing. Also, its sister bakeries have since been rebranded. 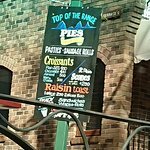 A new establishment is now open on the premises,”Top Of The Range Pies.” The new business is in no way connected to the previous outfit. Try and keep up, Tripadvisor. Gourmet sausage rolls, with a view! 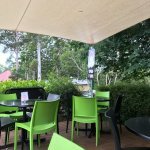 Cute little cafe tucked away with a lovely view overlooking the Sunshine coast Hinterlands. Service was quick and friendly and the sausage rolls served with a light salad were very tasty. 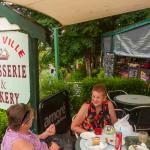 We had been to Montville a couple of years again and it has lost none of its charm and appeal. There is a good variety of local arts and crafts stores. In fact the local art scene is very strong with a number of dedicated gallery spaces. 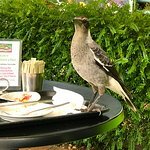 There are plenty of Cafes and restaurants that cater for all tastes and budgets. 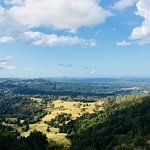 We decided to grab an early lunch and spotted the view from the Montville Patisserie & Bakery. The massive sausage rolls were almost a meal by themselves but actually came with a small side salad. The view here is spectacular. You are very high up and can see all the way to the coast. It was a little wait to get a table, but it is well worth the wait. 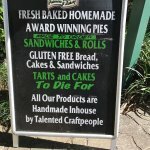 I would definitely recommend this Bakery to others. This little hidden gem is worth looking for. Great food, good coffee and surprisingly well priced (considering the location). 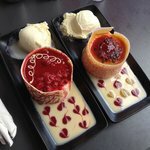 Great for a light meal (pastries are quite large) and/or coffee and a treat. Sat among tourists on a very pleasant day in Montville. Had locally made pie which was very good along with expresso. Would recommend. 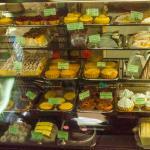 Been to Montville Patisserie and Bakery? Share your experiences!